On the second night of a back-to-back, the Grizzlies returned to FedExForum hoping to secure another win, and a tie for first in the Western conference, after 16 games. The Dallas Mavericks arrived in Memphis on a four-game win streak, having beaten the Golden State Warriors on Saturday. Jaren Jackson had faced off against every other top 5 2018 draft pick except the Mavs' Luka Doncic before tonight. In his pregame availability, Grizzlies head coach J.B. Bickerstaff said the foundation has been set after 15 games and lauded the team's solid identity and culture. In terms of improvement, Bickerstaff said better offense will come along as the Grizzlies get more comfortable with one another, and learn each others' games and how to play toward their teammates' strengths and tendencies. The Mavericks started the game on a 5-0 run, but the game sank waist-deep into that Grindhouse mud soon after and remained bogged down, per the Grizzlies' liking, from that point onward. Neither team pulled away by more than a few points, with the lead changing hands 17 times. The Mavericks got an early boost from Dorian Finney-Smith's two threes. 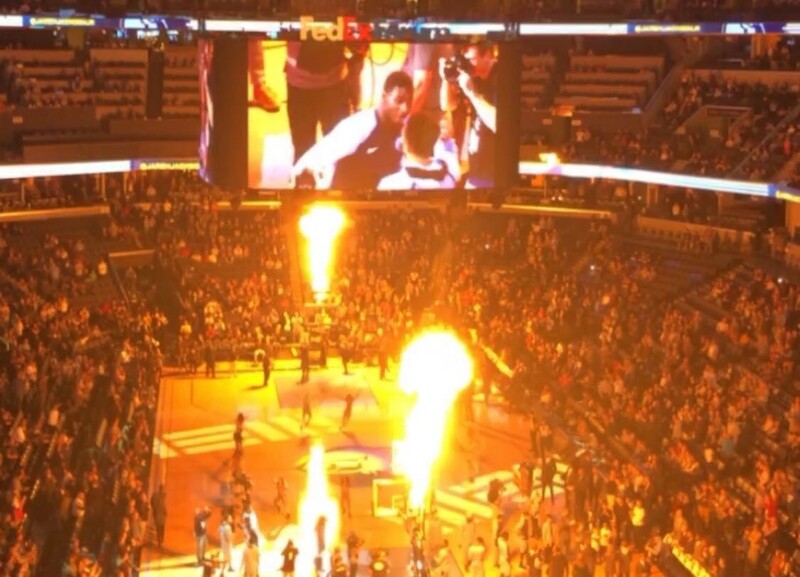 Meanwhile, the Grizzlies shot 0-4 from deep to begin the game. Jackson put on a showcase in the first quarter. Though he and Doncic were the star rookies in this matchup, Jackson spent more of his time guarding and being guarded by DeAndre Jordan. Jackson made Jordan look downright foolish on a handful of possessions. On one play, Marc Gasol kicked the ball out to Jackson in the corner. Jackson dribble-drove into Jordan, backed up, then drove past him for a reverse-layup. In another sequence, Jackson hit a deep two in Jordan's face, then blocked Jordan's dunk attempt on the other end. Jackson registered another block on Jordan in the post soon after. The Mavericks finished the first period shooting 29.2 percent from the field. Between the first two quarters, the Grizzlies game-break entertainment featured a three-way competition between dental equipment. I'm only pointing that out because the competition and accompanying video made less sense than episode 8 of the recent Twin Peaks. I don't know if it was ineffectual production or high art, but I didn't like it (unlike episode 8 of Twin Peaks). Another absurd thing that happened: Jackson had multiple highlights in one sequence. Doncic had a look from three, but didn't want to take it with Jackson defending the perimeter. Instead, he drove towards the rim, but only made it about a step before Jackson picked his pocket, ran the court, and finished at the other end with an and-one spin move. It was sublime and deserving of the Black Unicorn nickname I've seen spreading on Twitter. 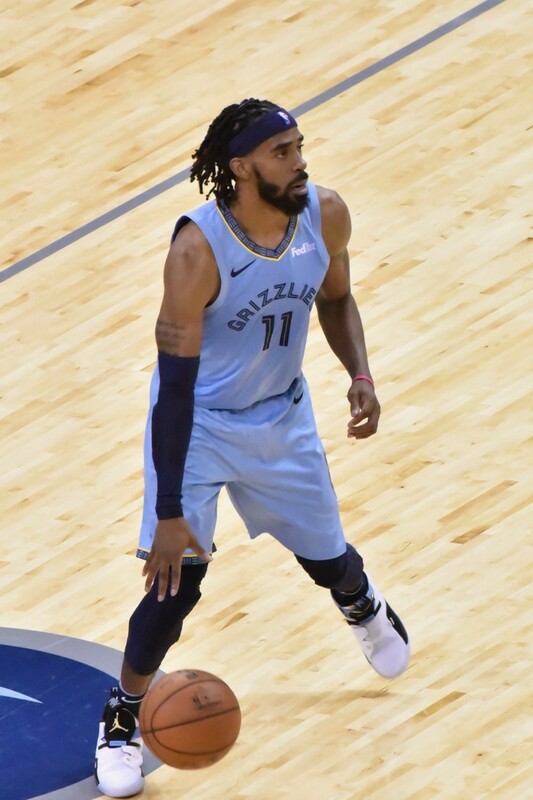 Mike Conley also had a sweet assist to Jackson in the second quarter, where he drove to the rim and no-look flipped the ball over his shoulder to the trailing rookie. I'm interested to see how the Grizzlies' fast break offense unearths ways to leverage Jackson's abilities for easy points. After the game, Bickerstaff said Jackson has "... an offensive skill set that we're just beginning to see." I agree. Through good overall team play, the Mavericks pulled ahead early in the second quarter, and held that lead til near the end of the half. But the Grizzlies clawed their way back to a four point lead after two quarters. One thing I liked seeing: Gasol looking great on one of his rumbling hook shots in the paint, with bouncy footwork and an elastic finish. It's nice to know that shot is still very much in his tool belt. Bickerstaff called a timeout less than a minute into the second half, after Doncic and Smith Jr. hit quick threes. Doncic would finish with 8 points in the period. The teams finished the third quarter tied at 74. Memphis suffocated Dallas in the fourth quarter, holding the Mavericks to 14 points. I repeat: the Grizzlies held the Mavericks to 14 points in the final period of play, and did so on the second night of a back-to-back (when their previous game was on the road). Meanwhile, solid and clutch play by Conley, Shelvin Mack, Garrett Temple, and Gasol enabled the Grizzlies to close out the game on the offensive end. Conley had another stellar shooting night, filling the basket to the tune of 28 points, and going 7-11 from deep! Five of those triples came in the second half. He also dished seven assists, had two steals, and five rebounds. His shooting was efficient — 10-18 from the field. Conley made it to the line for only two free throws, but I don't mind him pouring in nearly 30 points without having to put his body on the line to get to the charity stripe this early in the season. Kyle Anderson was effective in this game as well. His passing and defense were stellar, and he's shown much better touch around and near the rim in the last two games. He finished with 8 points on 4-6 shooting, and had 4 rebounds, 5 assists, 2 steals, and 2 blocks. He had one particularly clutch play late in the game, where he missed a corner three, stole the rebound away from the Mavericks, and finished with a jam. JaMychal Green buoyed an otherwise disappointing performance by the Grizzlies bench. Wayne Selden and Marshon Brooks had trouble making good decisions with the ball, especially in the pick and roll, and combined for just 5 points. Mack had a lackluster shooting night, taking a small number of shots, but he made a timely three in the fourth quarter, and didn't turn the ball over once. Green had a nice return to the home court after his jaw surgery. He had a nasty block on Dennis Smith Jr., and scored 12 points on 5-8 shooting, 2-4 from three. He was one rebound shy of a double-double. Gasol had a solid night on offense, contributing 17 points on 6-16 shooting, but missed all five of his three point attempts. He made up for it on the boards, however, pulling down 15(!) rebounds (all defensive). With his 14th rebound tonight, Marc Gasol has his largest regular season three-game rebounding total (42) in his career. Previous high was 41 in his 2nd season, back in December of 2009. Memphis beat Dallas on the boards (45-43), and in the paint (44-36). Defense won the game again for the Grizzlies. The Mavericks average about 110 points a game this season, but couldn't break 90 at the Grindhouse. Gasol and Jackson had 4 blocks each. The team had 11 overall. The Mavericks finished shooting an anemic 34.1 percent from the floor. One thing Dallas did differently for stretches at the beginning of the game and second half, pointed out by Chris Herrington, was put Jordan on Jaren Jackson and smaller forwards on Gasol. As a result, Gasol's three-point game was taken away, and he spent much of his time down low with Jackson on the perimeter—when their positions are usually the other way around. After the game, Bickerstaff and Gasol said they weren't too worried about other teams trying a similar tactic, and attributed the scheme and its success to the type of personnel the Mavericks have. The Grizzlies are now tied for first in the Western conference after 16 games. That's not a tiny sample size. But the team isn't thinking much about that. Bickerstaff said he won't be paying too much attention to the rankings until after the All-Star break, and Gasol said he was happy, but that being happy isn't the same as being satisfied. The Grizzlies are off until Wednesday, when they'll take on a dangerous and similarly slow-paced Spurs team in San Antonio.